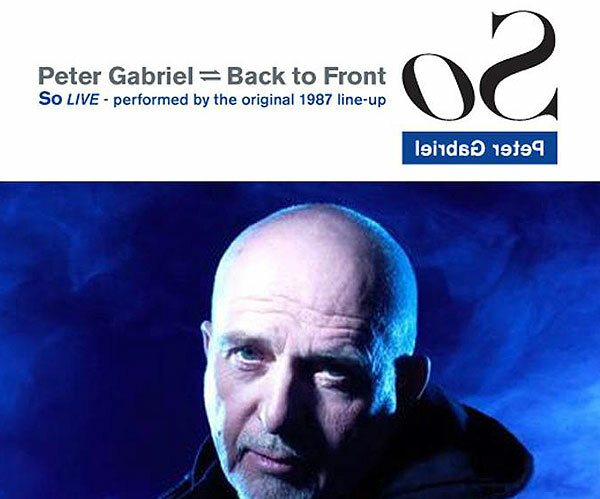 Following a critically acclaimed New Blood tour in 2011 that reignited Peter Gabriel fans across the world by reimagining his best known songs through stunning orchestral arrangements, Gabriel announced today his return to U.S. stages to celebrate the 25th anniversary of his groundbreaking, iconic album So. Focusing on the entirety of that multi-platinum album, the tour, entitled BACK TO FRONT, will feature Gabriel with members of the original So touring band and will feature the album’s songs from start to finish plus some of his other biggest hits. To coincide with the tour, So will be re-issued on September 18th as a CD, special edition 3-CD set, and Super Deluxe Box Set. So is the best-selling album of Gabriel’s career and debuted at the top of the music charts around the world going on to achieve 5-times platinum sales and becoming one of the most seminal albums of the 1980’s. It features hits such as “Sledgehammer,” “Big Time,” “Red Rain,” the haunting duet “Don’t Give Up” with Kate Bush, and one of the most iconic songs of all time “In Your Eyes.” The songs were also part of the emerging video revolution and the groundbreaking “Sledgehammer” became one of the most awarded video’s of its time. To this date, “Sledgehammer” remains the most played video of all time on MTV.